The Round-1 Officer Squelette is an extraordinarily good-looking watch. Dimensionally the timepiece exudes masculine proportions and has a 47mm (excluding crown) black PVD treated steel case. 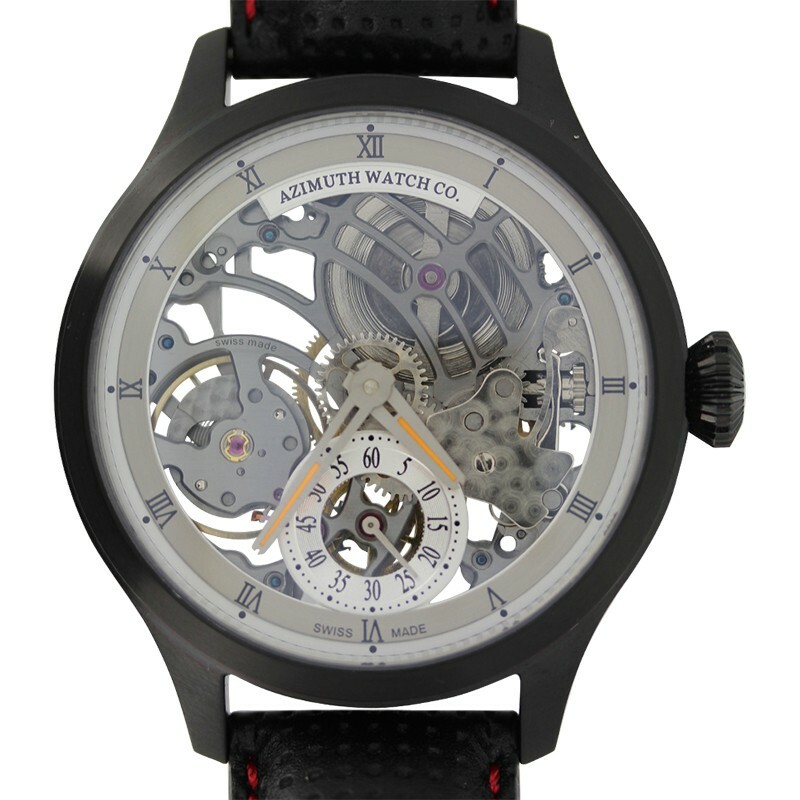 What makes this watch so distinctive is the striking ‘Art Deco’ inspired skeleton dial. This feature allows the recipient and intimate view of the highly decorated movement. Other fine details include a sub counter displaying small seconds, chapter ring with contrasting black Roman numerals and domed sapphire crystal lens. 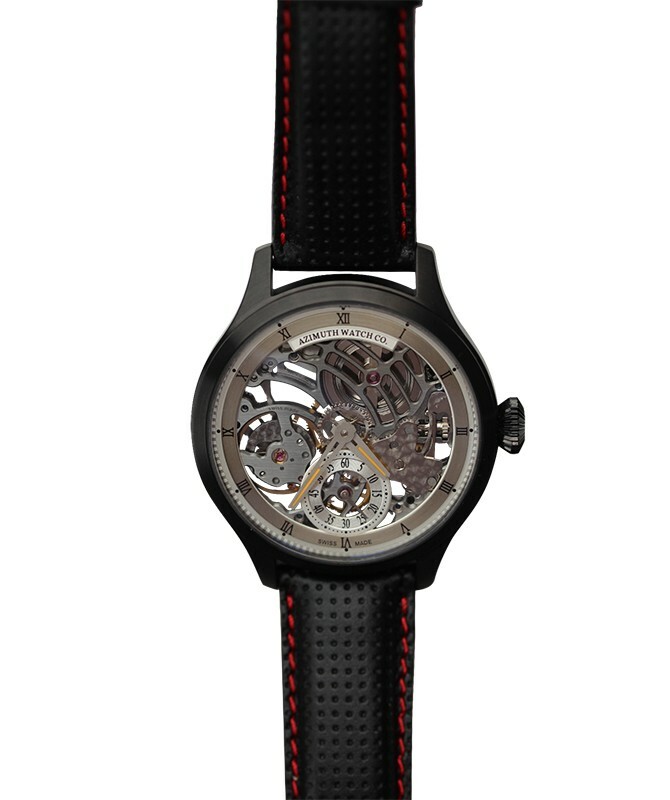 Beneath the refined façade is manual-winding Swiss made (Unitas) Calibre ETA 6498. This mechanism comprises 17-jewels and oscillates at a frequency of 18,000 vibrations per hour (2.5Hz).